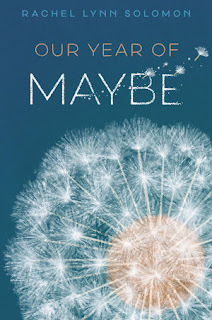 Rachel Lynn Solomon is the author of the new young adult novel Our Year of Maybe. 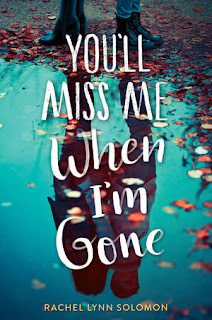 She also has written the YA novel You'll Miss Me When I'm Gone. 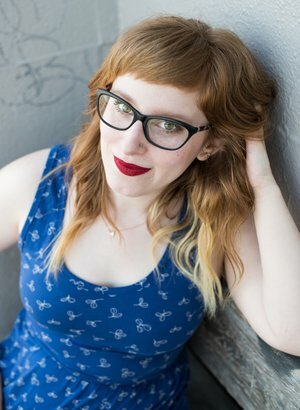 She lives in Seattle. Q: How did you come up with the idea for Our Year of Maybe, and for your characters Sophie and Peter? A: Initially, I wanted to explore the aftermath of a kidney transplant between best friends because I’m fascinated by organ donation and can’t imagine a more selfless act. As I grew to know my characters better, though, I wondered if this selfless act did actually include a bit of selfishness. Sophie, the donor, is in love with her best friend Peter, the recipient, and part of her hopes that after the transplant, he’ll love her back. It’s a very small part, she acknowledges -- but it’s still there. I wanted to dig deep with all those messy feelings. Sophie and Peter evolved during the writing process, but Sophie was always more introverted, always very attached to Peter. And Peter was always more curious about the world beyond their friendship -- and yet he feels an immense amount of guilt because it's thanks to Sophie that he's able to explore those new opportunities. Q: Can you say more about why you decided to include a kidney transplant as an important part of the novel? A: There were a few reasons. In a lot of transplant books, the transplant often causes some kind of trauma for the recipient, which is interesting to read, but it doesn't represent the full spectrum of transplant stories. In Our Year of Maybe, the drama stems entirely from the relationship between the characters. In a way, the transplant acts as a metaphor: over the years, Sophie has given so much of herself to Peter that the only thing left to give is a literal piece of herself. A: The book sold with a different title, and my editor and I tossed around a few ideas before we landed on this one and sales/marketing approved it -- which is quite common! While I liked OYOM, I didn't realize how well it works until I was reading the book during pass pages, one of the final stages before it goes to print. There's a line in chapter 1 where Sophie calls herself a "perennial maybe" because she never commits to parties or other events she's invited to (on the occasions she's actually invited). She's closed herself off to other opportunities because she's wound herself so tightly around Peter. So for her, the maybe is Peter -- maybe he'll want to spend time with her, so she has to keep her evenings free. Maybe he'll need her, so she can't say yes to anyone else. I hadn't remembered the line when I came up with the title, but my subconscious must have. A: I would love for readers, especially teens, to realize they don't need to define themselves entirely by another person. I hope they know any kind of relationship should be balanced, and that it's okay to end a friendship that no longer makes them feel good about themselves. Mostly, I hope they know that they matter as individuals. A: Right now I'm working on something a bit more upbeat! I'm revising my next YA, which will be out from Simon Pulse in summer 2020. It takes place over 24 hours on the last day of senior year and follows rival overachievers who reluctantly team up to win a senior class game...while realizing they might actually love each other. It's been a blast to write, and I can't wait to be able to share more about it! 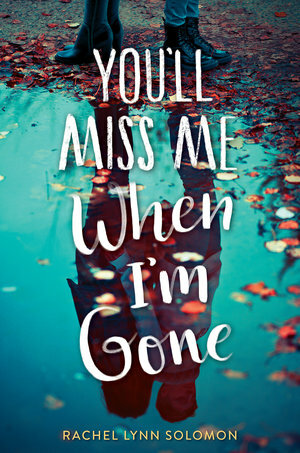 A: I'll close with a fun fact: Our Year of Maybe and my debut, You’ll Miss Me When I’m Gone, have a lot in common (Jewish characters, dual POV, complex relationships). But what's funny to me is that they both wound up at nearly the same word count! The final word counts are within a thousand words of each other.